Once upon a time, I would pack a backpack for each of my kids before we set off on a trip. Inside the bag were all the things I knew they would want on our trip. A blanket, stuffed animal, coloring books, small toys, books, snacks….and more. The contents varied depending on how long we’d be gone and what would be at our disposal. Now, as they get older (at 9 and 12 years old) their “things” have shrunk considerably. There’s one thing I know they’ll put in their bag and that is usually the only thing they care about. Their tablets. We try to encourage them to spend travel time doing something other than playing games but neither of my kids love reading the same way I do. Instead of them feeling overwhelm with a big book, I started introducing magazines as an alternative option. This lets them read shorter, interesting articles that have not only accompanying photos, but a very visible beginning, middle, and end. It’s been a great compromise and built up their reading endurance. We face one other major hurdle – it’s very hard to find English language magazines where we live and when I do find them they are prohibitively expensive. Finally, the last thing I want to do when packing for a trip is add more luggage weight by including magazines. Instead of giving up, I searched for a solution. When I found out about magazine app Texture, my initial thought was it was a great way to eliminate the paper weight. I also loved that nearly all my favorite magazines and kids’ favorite magazines were available! When our Wi-Fi signal drops out and YouTube stops working my boys can still read thanks to the “download” feature. It’s not just current issues that are available either, many magazines offer back issues. 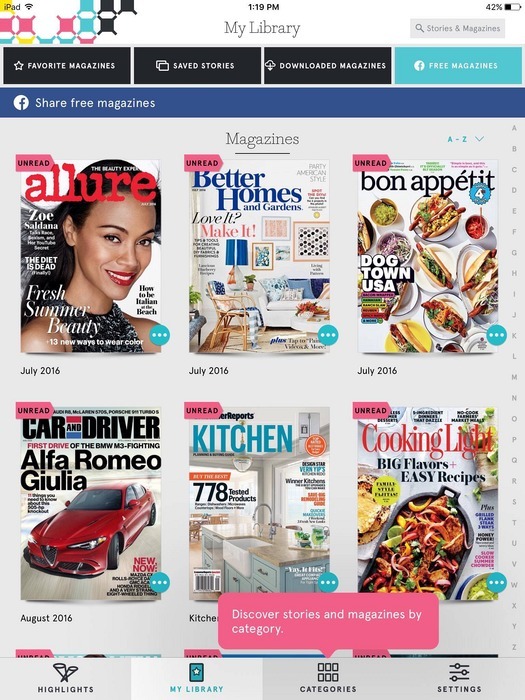 Each magazine is in full color and readable on most tablets and smartphones by just downloading the Texture app. With one membership it can be used across up to 5 devices. So I can read National Geographic Traveler (or one of the other 14 travel titles), the kids can read Sports Illustrated Kids, and my husband can read Esquire. The basic plan is US$9.99/mo and the premium is US$14.99/mo. 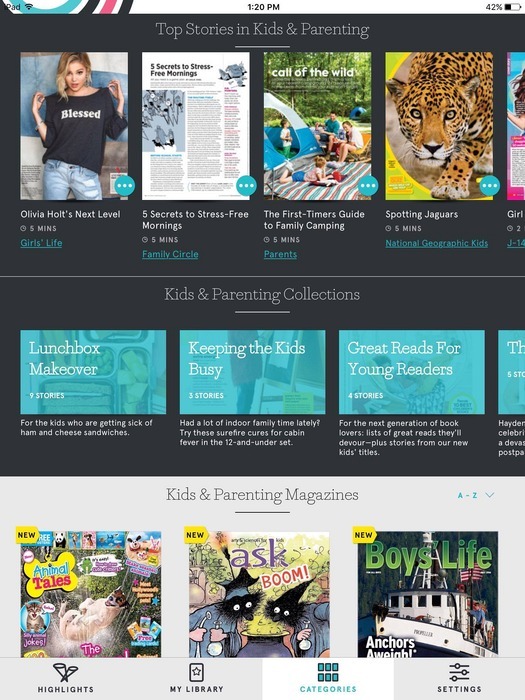 You have access to 175+ magazines for about the price of 2 paper copies – a great deal! Unlike some apps that don’t list the titles available until AFTER you’ve subscribed. Texture makes it clear which magazines are included with each plan from the outset. There are dozens of magazines available in the basic edition, and if you choose premium it expands your selection further. My whole family loves how easy this app is to use and the wide range of magazine options available. You can try Texture for free with their 14 day trial and see if you get hooked too.